Tripp Lite's SM1500RMXL2UTAA is compliant with the Federal Trade Agreements Act (TAA) for GSA Schedule purchases. 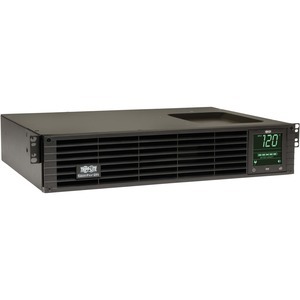 This intelligent, line interactive rack/tower uninterruptible power supply prevents data loss, downtime and equipment damage due to power outages, voltage fluctuations and transient surges. It requires only two rack spaces (2U) in a standard rack enclosure.